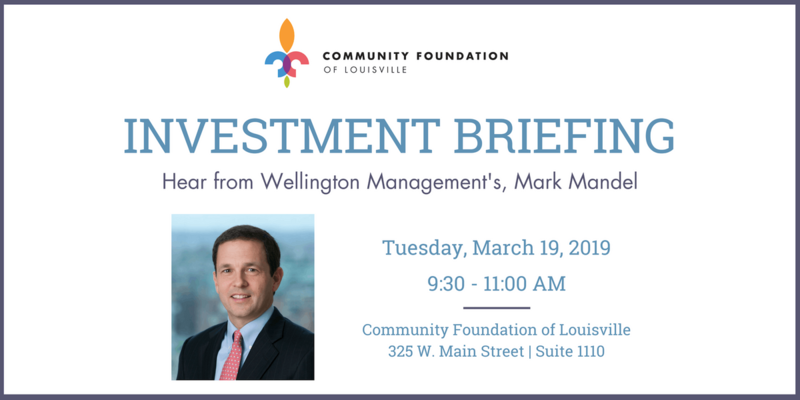 The Community Foundation of Louisville invites you to join us to learn more about how our Investment Committee invests, manages, and grows our charitable assets for the future. 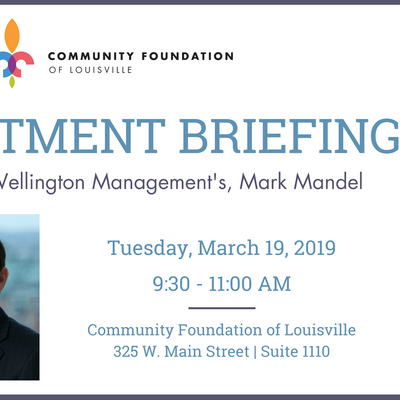 Additionally, Wellington Management's, Mark Mandel, a Portfolio Manager and former Director of Investment Research will share his provocative views on current and future investment themes. Markets are being disrupted in a variety of ways due to technology, shifting demographics, geopolitics, etc., yet the fundamentals of investing persist, and disruption often leads to opportunity. Mark will discuss how Wellington is viewing the investment landscape and ways that we are seeking to capitalize on these market disruptions. Please RSVP by Friday, March 15.